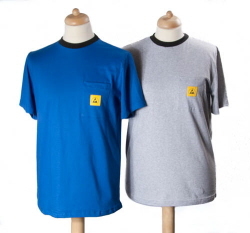 New in our assortment; ESD-T-shirts! * With correct European fit! * Of course with ESD logo. * Light weight (140g/m2) and washable. * 97% cotton / 3% Carbon fibre.